The last wedding I shoot of the year always leaves me with a bitter sweet feeling. As I reflect back on the wonderful couples I had the honor of photographing I feel so blessed and grateful to have been a part of those moments. At the same time I know it will be a few months before I shoot another wedding and so I soak up every moment of it. Breanna and Justin's big day was just that wedding for me this year. It had a soft, airy lightness to it that I thoroughly enjoyed photographing. If you follow me on Facebook then you know how obsessed with her bouquet I am! 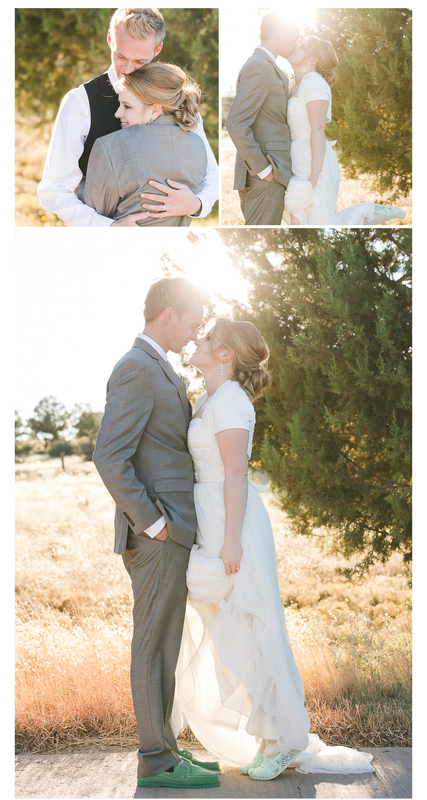 They said "I do" before God, their family and friends at Talking Rock Golf and Country Club in Prescott, Arizona. After a beautiful spiritual ceremony we headed off for bride and groom formals. The light was AMAZING! If I can give engaged couples one piece of advice it is that golden hour (the hour before the sun sets) is the absolute BEST time for those photos. It's flattering swoon-worthy light at it's finest! In my opinion you simply cannot beat it. And of course as is tradition for me... the last shot of the night.